Attract, Keep and Serve More Patients. 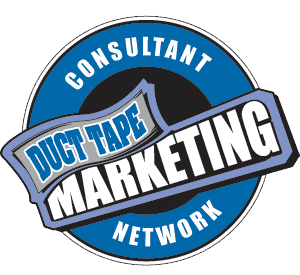 Do You Need Our Marketing Expertise? Not every business is ready for or needs an expert marketing approach. If you love marketing and you like to get into the weeds of your website, ads, social media, content creation and SEO, then we might not be a good fit. If not, then we can help you focus on running a practice. Most Marketing Approaches Are Upside-Down. Every marketing idea sounds like a good one...or a bad one. Good ideas that never get started! Strategic planning is the most commonly skipped step in the marketing process, and it's the #1 reason that marketing tactics fail. 9 times out of 10, when a client presents us with a challenging marketing scenario, it comes down to a lack of strategic focus OR they've veered off strategy. We can take you through our 9 Step Marketing Mastery Process to see where your marketing is on track, and where strategy might be missing. Then, we build a custom marketing plan based on your goals, your market, and your customers. Many small business owners are way too busy to devote time to getting their marketing right, so they settle for "good enough". Often the best ideas and plans lay dormant because there weren't enough hours in the day to get it off the ground. Also, it's very frustrating to be the go between for several companies and people, and the risk of making a mistake are high. Forlight Marketing Done For You Packages eliminate the hassle of managing your own marketing plan. Our affordable plans make it feasible for a small business owner to have expert marketers on their team at a fraction of the cost of a full-time hire. Are you doing the right marketing for your practice? Are you getting the results you want? What do you need to do to reach your practice goals? Our Marketing Strategy Process eliminates these questions, and give you the exact right marketing plan that will get you to your goals...with a positive return on investment. Websites, Social Media, Google My Business, Directories, Search Engine Optimization (SEO), Webinars, YouTube Videos...this list goes on and on. We help our clients wrangle their total online marketing presence, so there is consistent activity, consistent branding, and most importantly, consistent results. I Need Digital Marketing Help. Advertising online can drive people to your website or your social media pages, but they an also be a big fat waste of money. We help our clients build online advertising campaigns that reach the right people, at the right time, with the right offer, and without costly mistakes and wasted time & effort. I Want to Advertise Online.